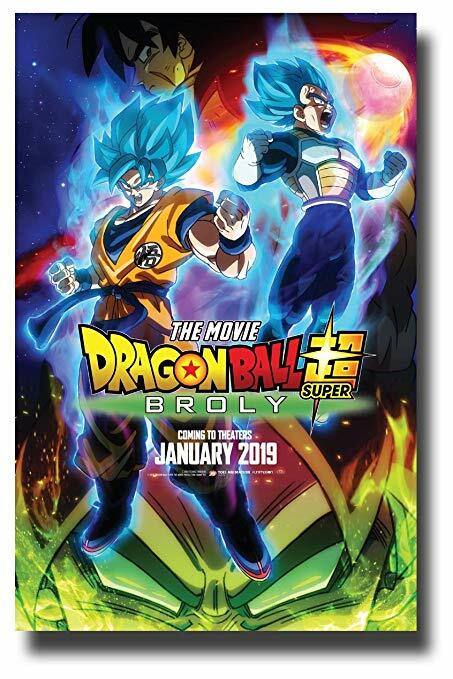 “Dragonball Super: Broly,” released in select U.S. theaters Jan. 16, delivers an interesting story and exciting combat, a combination that makes it unique from other Dragonball movies. The Dragonball series follows the adventures of Goku, a member of the Saiyan race who was raised on Earth. Over the course of many encounters with powerful foes, Goku encountered other Saiyans, occasionally turning his former adversaries into allies. The events leading up to the fate of the Saiyan race, previously depicted in “Bardock — Father of Goku” (1990), are retconned and retold according to the special manga chapter “Dragonball Minus,” by series creator Akira Toriyama. “Minus” follows Goku’s parents, Bardock, and mother, Gine, as they send him to Earth in fear of their race meeting an end at the hands of the galactic tyrant Frieza. A retcon of a previous historical event for the series could lead to some unexpected continuity errors for the existing Dragonball story, but that’s not the case with “Dragonball Super: Broly.” All events integral to the series’ overarching plot are properly addressed and are largely untouched from the original “Bardock — Father of Goku” film. The main focus of “Dragonball Super: Broly” is on three of the remaining full-blooded Saiyans, two being Goku and Vegeta. While Goku is a kind-hearted and gentle Saiyan obsessed with fighting strong opponents, Vegeta, the prince of the Saiyan race, is a prideful and arrogant warrior who strives to be the strongest in the universe. The third Saiyan in the mix, Broly, was cast off at a young age due to his unusually high battle power. Broly appears in older Dragonball movies, such as “Broly — The Legendary Super Saiyan”(1993) and “Bio Broly” (1994); however, these movies have never been considered part of the main continuity due to the original Broly character not having been written by Toriyama. For “Dragonball Super: Broly,” Toriyama rewrote Broly’s character and made him part of the main events of the series. “Dragonball Super: Broly” does a masterful job at meshing the action-packed fights the Dragonball series is known for with important character developments. While emotional storytelling has usually taken a backseat to balls-to-the-wall action in previous Dragonball films, “Dragonball Super: Broly” breaks the mold and delivers truly heartfelt moments. Events in Broly’s life are given context, such as the story of his waist garment, which sets up future moments for his character, while side characters are fleshed out and given motivations for their actions. While fight scenes and character arcs are properly balanced, the movie’s pacing is faulty. The first half of the movie, consisting of Toriyama’s retelling of the Saiyan races’ destruction and the events leading up to the first fight, is smoothly paced, with each punch, kick and transformation of the battle flowing into the next seamlessly. The second half, consisting mostly of battle scenes and intermixed comedy, is noticeably rushed, with events concluding with far less suspense. Tickets are available until Jan. 29 at AMC, Regal, Cinemark and Century theaters.